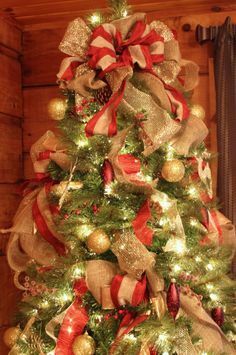 There are many who don’t really need any tutorial to learn the art of putting ribbon on a Christmas tree. While you can hang it in any random way that adds to the looks of your tree, it would be great if you could have some pointers on creating a specific design. 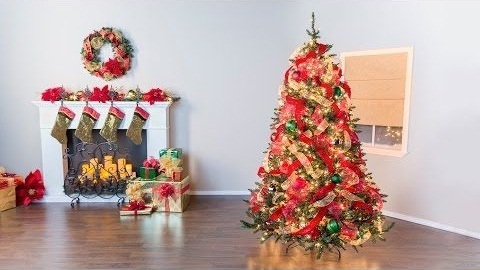 This fun tutorial starts by tucking in the end piece of a ribbon into the back of a tree and slowly working around it. 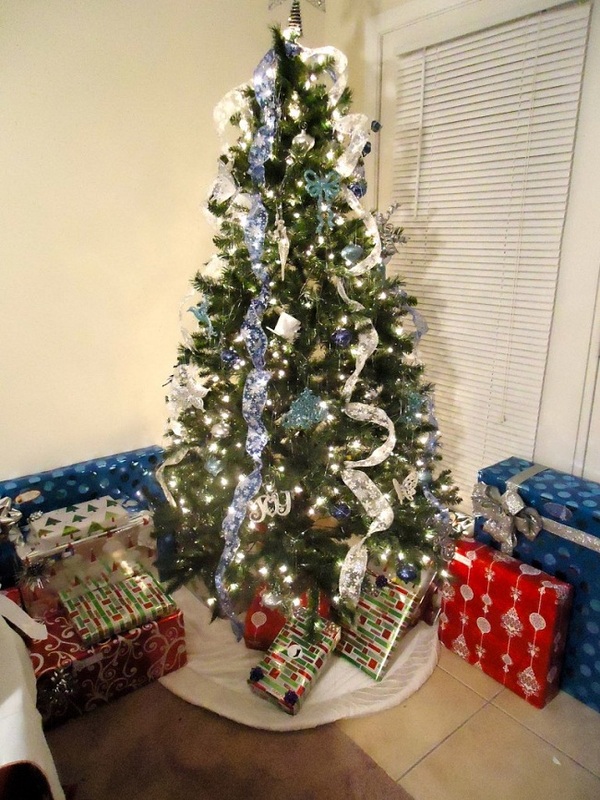 Some people find it easy to wrap it clockwise around the tree. 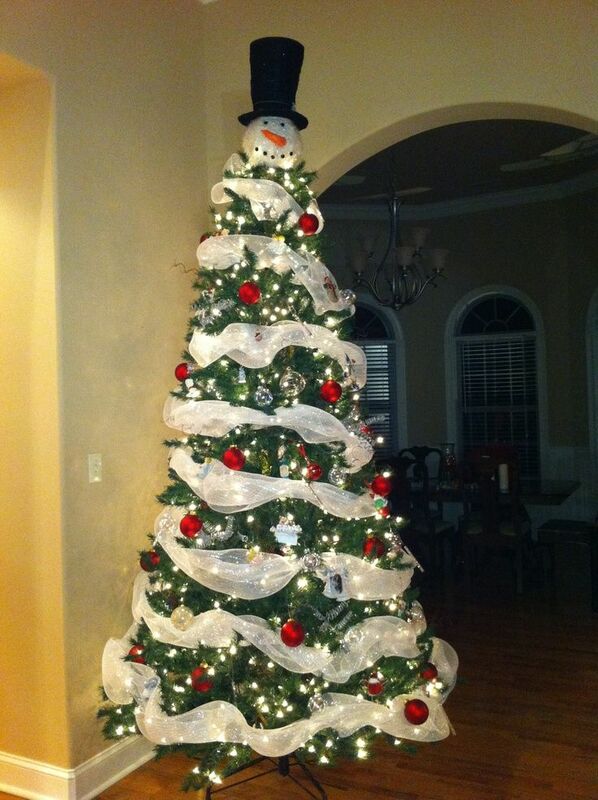 You can do it in any way that suits you. 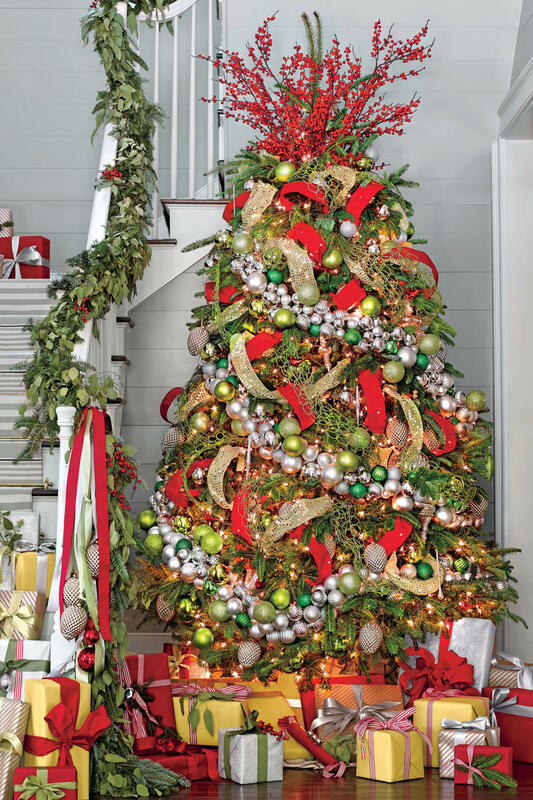 This decoration idea can be executed pretty fast, thanks to the uncomplicated way of weaving it on a tree. 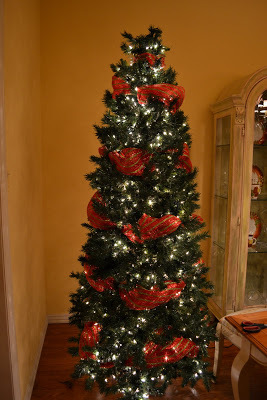 You first need to cut a ribbon to 18-inch width. 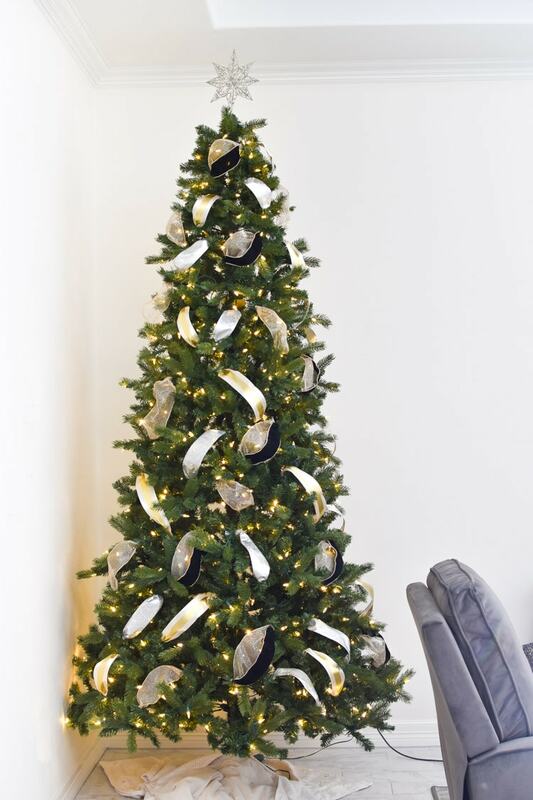 If you want, you can staple two ribbons together for a designer look. 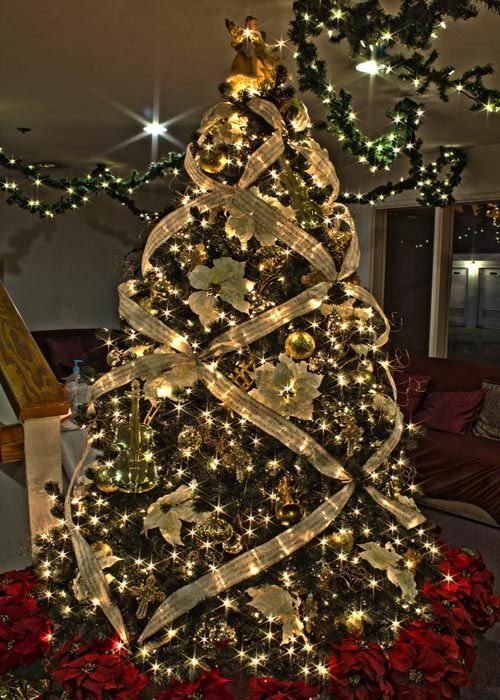 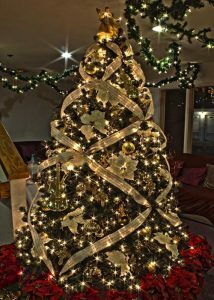 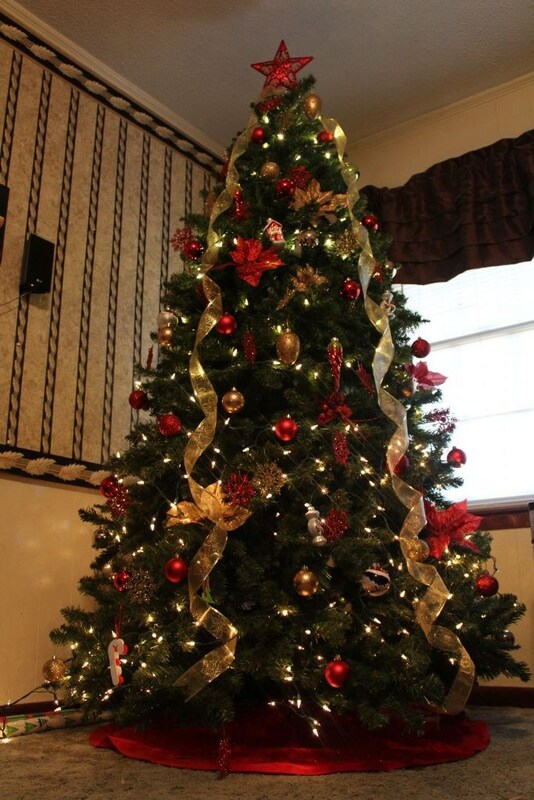 This elegant Christmas tree is decorated with a wired ribbon. 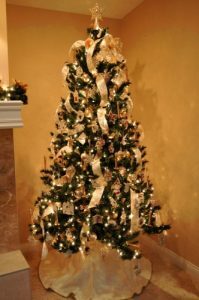 The advantage of using this type of ribbon is that you can bend and shape it in any way you want. 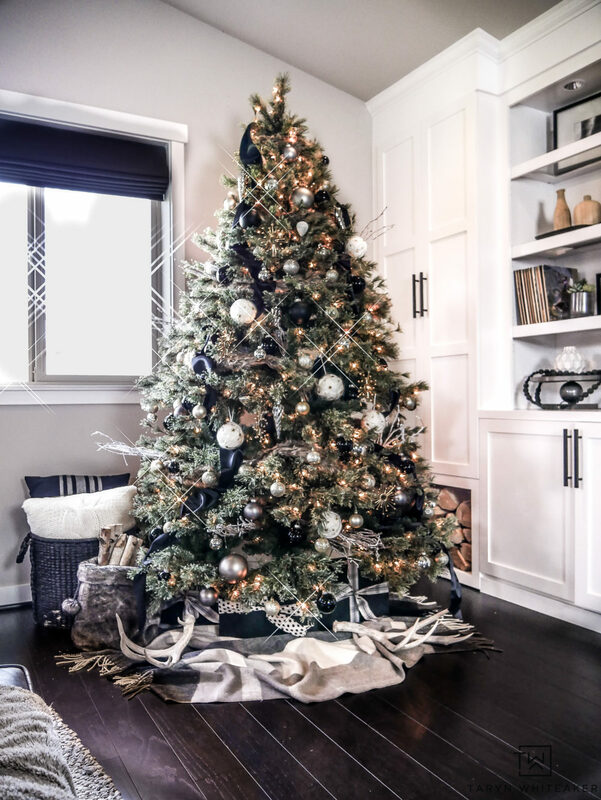 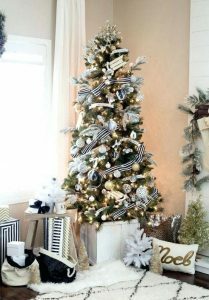 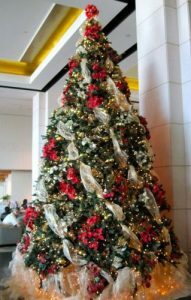 The criss-cross style of ribbon gives a voluminous look to a Christmas tree by lending it a densely decorated, lavish appearance. A combination of 2-3 ribbons can be used for decorating your tree. 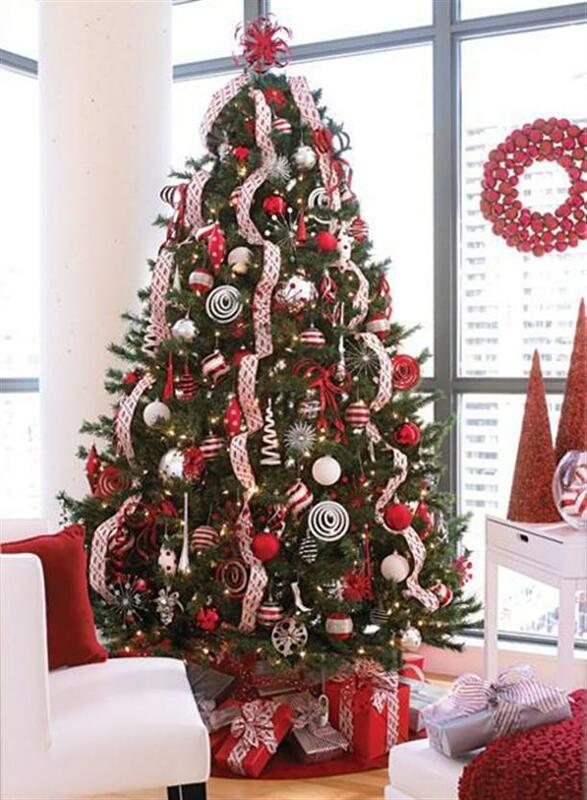 A blue and silver or red, green and white color arrangement would look attractive on an artificial or real tree. 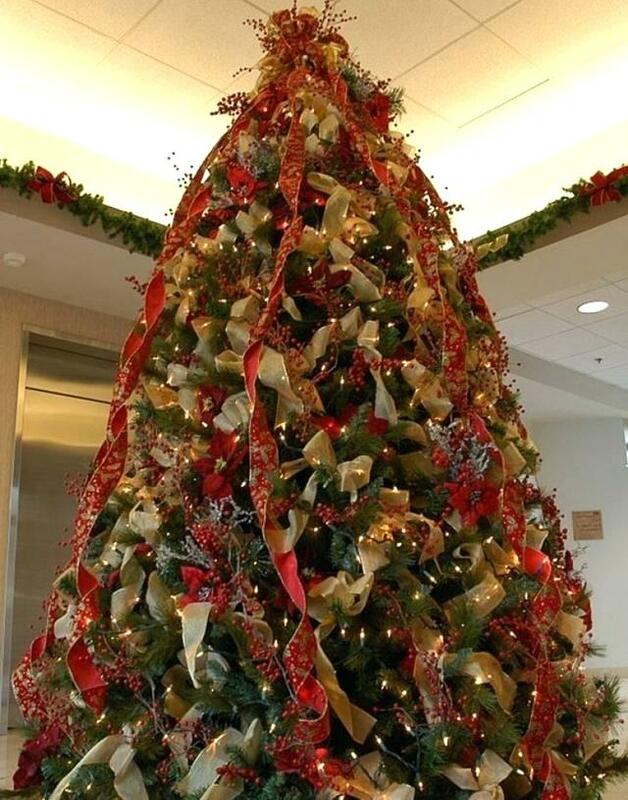 This large Xmas tree is made in a spiral shape and hung from the top. 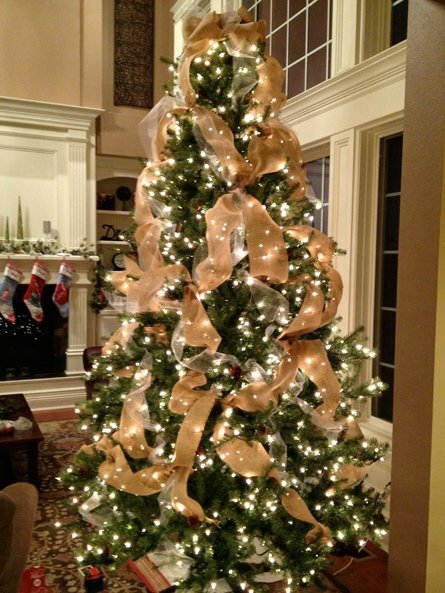 Note that large trees require wide ribbons while smaller ones can be trimmed with thinner ones. 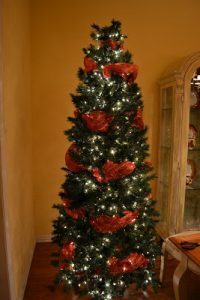 The author of the below DIY advises you to put the lights on before wrapping the tree with mesh ribbon. Though you might find it too wide and a tad hard to work with, you will gradually get the hang of it. Prep your Xmas tree by fluffing it up. 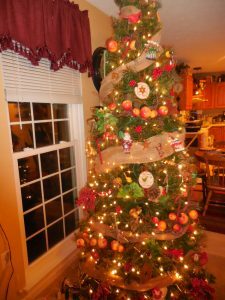 Then start with cutting your ribbons and tucking them in. The author finds a 4” ribbon with wired edges suitable, but you are free to find a width that suits your tree. 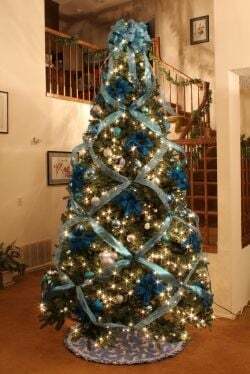 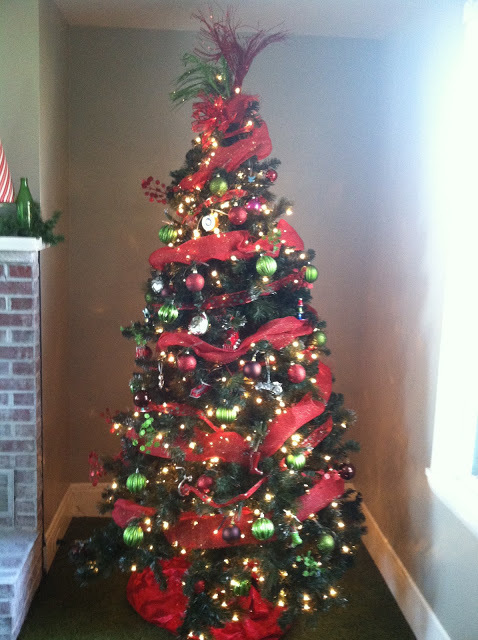 For this idea, you have to start from the top and wrap a thick deco mesh ribbon around the tree. 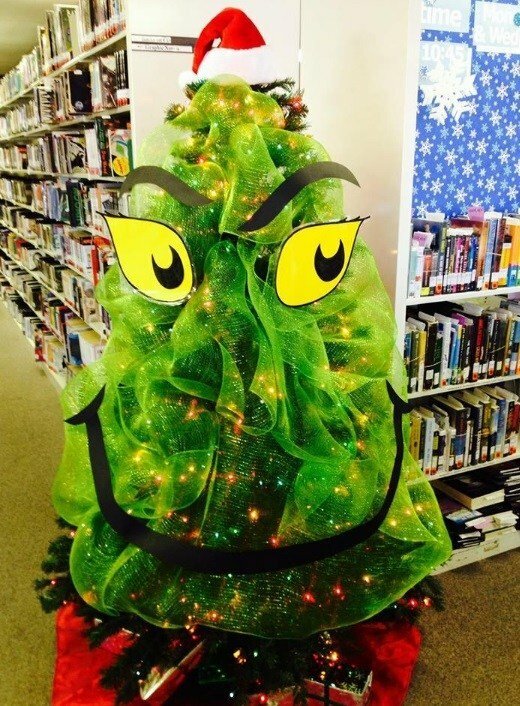 It gives a full, look to your tree. 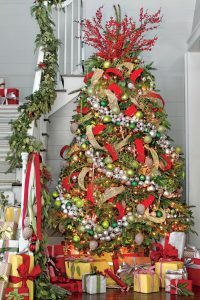 You would have to add your ornaments in between the mesh layers. The loops of red and gold burlap ribbon look beautiful on a tree. 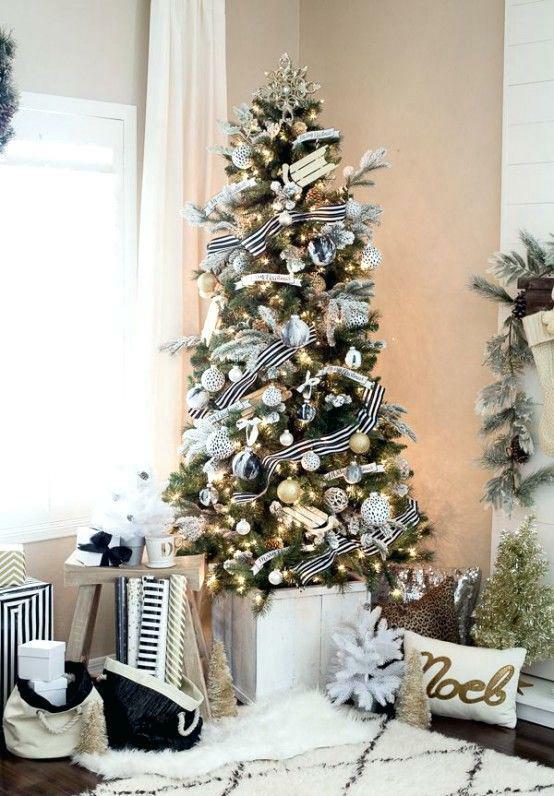 Two different lengths of the ribbon were used to create a rustic but glam look. 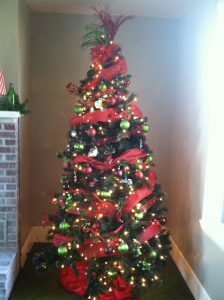 Attaching tinsel ties and deco mesh is a simple way to deck up your tree. 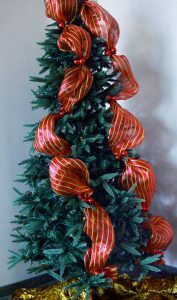 In this unique style, the ribbon is tied from the top down. White or cream tulle ribbon would also look good when styled in this way. 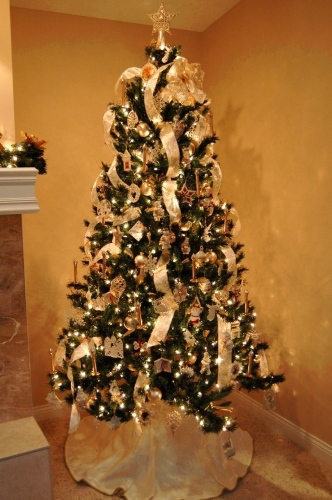 Thick ribbon can be used to cover a tree to the maximum. 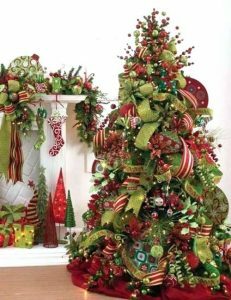 You can use ribbons of various colors and patterns to glam up the decorations. Tartan plaid ribbons give a unique country feel to the tree. 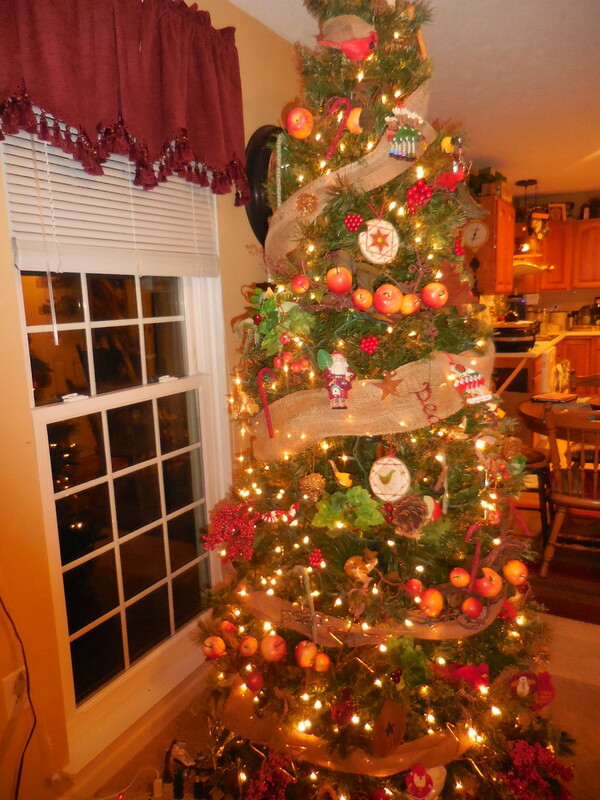 You can keep the round horizontal drapes close to each other for a dense look. 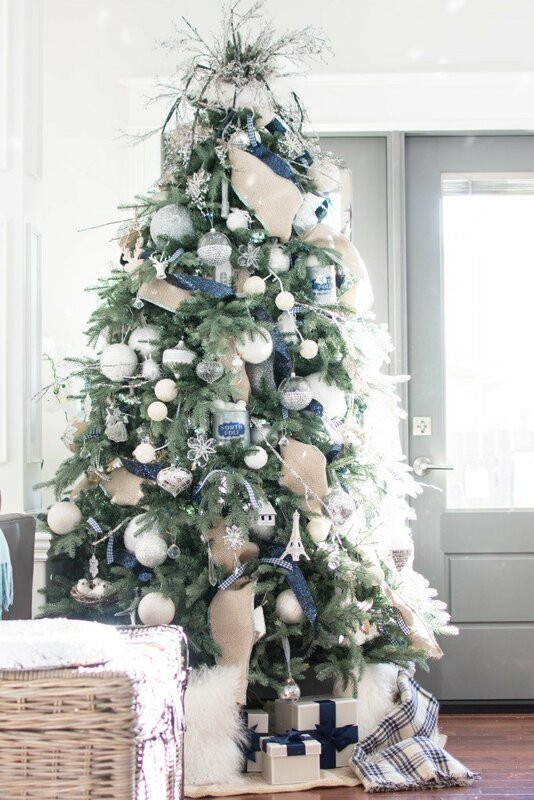 You would have a whale of a time decorating your Christmas tree with ribbons. You would find it easy with the videos, written instructions and images as guides. 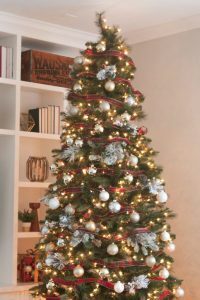 Once you have an idea of the different ways of weaving it through your tree, you can customize here and there as per your choice. Just play around with the different colors, be it burgundy, turquoise, brown or bronze. 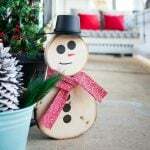 The festive season would have your guests congratulating you on your craft skills.